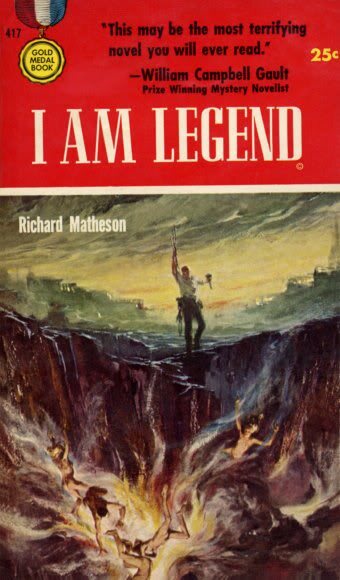 When reading the fiction of Cordwainer Smith, I found myself making connections to Richard Matheson‘s I Am Legend. Although I would classify I Am Legend as more of a horror story than a work of Science Fiction—that being said, the genres have a tendency to overlap and a strict distinction, for this current article, is not necessary—both pieces were published in the 1950s, a time assuredly rife with psychological stress. Although we certainly witness an environment coming to terms with the potential impact of mass media and advertising (see discussion from last week’s class), I also associate the time period with the incredible mental reorganization that resulted for many due to the increased migration to the suburbs—a move that would cause many to grapple with issues of competition, conformity, routine, and paranoia. In a way, just as 1950s society feared, the threat did really come from within. And “within,” in this case, did not just mean that one’s former neighbors could, one day, wake up and want to eat you (one of the underlying themes in zombie apocalypse films set in suburbia) but also that one’s mental state was subject to bouts of dissatisfaction, depression, and isolation. Neville (the last human in Matheson’s book, who must fight off waves of vampires) and each of the protagonists in Smith’s stories is othered in their own ways and although Smith overtly points to themes of empowerment/disenfranchisement, I could not help but wonder about the psychological stress that each character endured as a result of a sense of isolation. Martel (“Scanners Live in Vain“) fights to retain his humanity (and connection to it) through his wife and cranching, Elaine (“The Dead Lady of Clown Town“) falls in love with the Hunter and fuses with D’joan while Lord Jestocost (“The Ballad of Lost C’mell“) falls in love with an ideal, and finally Mercer (“A Planet Named Shayol“) unwittingly chooses community over isolation by refusing to give up his personality and eyesight. Throughout the stories of Matheson and Smith, we see that the end result of warfare is a shift in (or acceptance of) a new form of ideology. (This makes sense particularly if we take Smith’s position from Psychological Warfare that “Freedom cannot be accorded to persons outside the ideological pale,” indicating that there will necessarily be winners and losers in the battle necessitated by differences in ideology.) 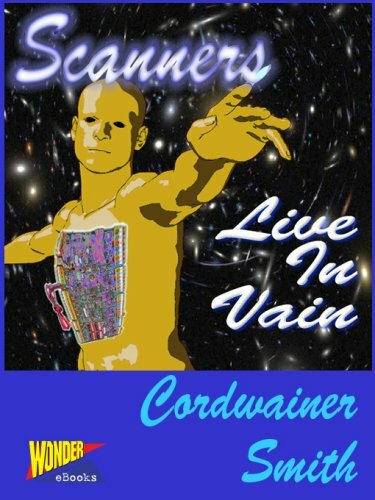 In particular, however, I found “Scanners Live in Vain” and “The Dead Lady of Clown Town” most interesting in that their conclusions point to the mythologizing of characters (Parizianski and Elaine), which is the same sort of realization had by Matheson’s Neville as he comes to terms with the concept that although he was, in his own story, the protagonist, he will be remembered as a conquered antagonist of new humanity. Neville, like Parizianski and Elaine, has become legend. The Most Important Product Is You! “The Culture Industry” seems to be one of those seminal pieces in the cannon of Cultural Studies that elicits a visceral (and often negative) reaction from modern scholars. Heavily influenced by the Birmingham School, generations of scholars have been encouraged to recognize agency in audiences, with the Frankfurt School often placed in direct opposition to the ideals of modern inquiry. Read one way, Horkheimer and Adorno appear elitist, privileging what has come to be known as “high culture” (e.g., classical music and fine art) over the entertainment of the masses. Horkheimer and Adorno argue that the culture industry creates a classification scheme in which man exists; whereas man previously struggled to figure out his place in the world, this job is done for him by the culture industry and its resultant structure of artificial stratification. Ultimately, then, because he does not have to think about his position in culture, man is not engaged in his world in the same way as he was before, which therefore allows content to become formulaic and interchangeable. Later echoed in Adorno’s “How to Look at Television,” “The Culture Industry” laments the predictable pattern of televisual media, with audiences knowing the ending of movies as soon as they begin. (Interestingly, there is some overlap with this and Horror with audiences expecting that offerings follow a convention—one might even argue that the “twist ending” has become its own sort of genre staple—and that a movie’s failure to follow their expectations leaves the audience disgruntled. This of course raises questions about whether modern audiences have been conditioned to expect certain things out of media or to engage in a particular type of relationship with their media and whether plot progression, at least in part, defines the genre.) Horkheimer and Adorno’s attitude speaks to a privileging of original ideas (and the intellectual effort that surrounds them) but the modern context seems to suggest that the combination of preexisting ideas in a new way holds some sort of cultural value. To be fair, however, one might argue that Horkheimer and Adorno wrote in a radically different media context. Sixty years later, we might argue that there’s not that much left to discover and that prestige has now been shifted to recombinations of existent information. Moreover, Horkheimer and Adorno’s position also assumes a particular motivation of the audience (i.e., that the payoff is the conclusion instead of the journey) that may no longer be completely true for modern viewers. Although Horkheimer and Adorno rightly raise concerns regarding a lack of independent thinking (or even the expectation of it! ), we are perhaps seeing a reversal of this trend with transmedia and attempts at audience engagement. Shows now seem to want people to talk about their shows (message boards, Twitter, etc.) in order to keep them invested and although we might quibble about the quality of such discourse and whether it is genuine or reactionary, it seems that this practice must be reconciled with Horkheimer and Adorno’s original position. It should be noted, however, that the technology on which such interaction relies was not around when Horkheimer and Adorno wrote “The Culture Industry” and the Internet has likely helped to encourage audience agency (or at least made it more visible). Seeking to challenge the notion that the Horkheimer and Adorno discounted audience agency, John Durham Peters argues for the presence of both industry and audience influence in the space of culture and furthermore that while audiences may be empowered, their actions serve to reinforce their submission to the dominant wishes of industry in a realization of hegemonic practice. 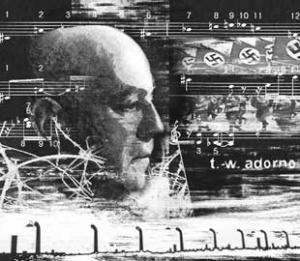 Although Horkheimer and Adorno, writing in the shadow of World War II were undoubtedly concerned with the potential undue influence of mass media as a vehicle for fascist ideology—as evidenced by quotes such as “The radio becomes the universal mouthpiece of the Fuhrer” and “The gigantic fact that the speech penetrates everywhere replaces its content”—they were also concerned that the public had relinquished its ability to resist by choosing to pursue frivolous entertainment rather than freedom (Adorno, 1941). From this position, Peters extracts the argument that Horkheimer and Adorno did in fact recognize agency on the part of audiences, but also that such energies were misspent. The notion of “the masses” has long been an area of interest for me as it manifests throughout suburban Gothic horror in the mid-20th century. In many ways, society was struggling to come to terms with new advances with technology and the implications for how these new inventions would bring about resultant changes in practice and structure. Below is an excerpt from a longer piece about a movie that also grappled with some of these issues. 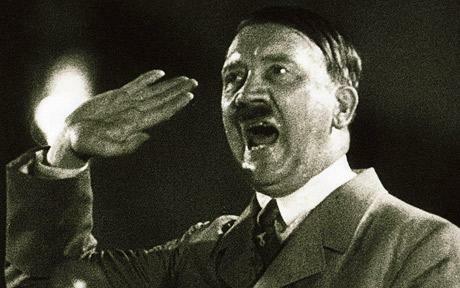 Reacting to atrocities witnessed throughout the course of World War II, Americans in the 1950s became obsessed with notions of power and control, fearing that they would be subsumed by the invisible hand of a totalitarian regime. In particular, the relatively young medium of television became suspect as it represented a major broadcast system that seemed to have an almost hypnotic pull on its audience, leaving viewers entranced by its images. And images, according to author and historian Daniel Boorstin, were becoming increasingly prominent throughout the 19th century as part of the Graphic Revolution replete with the power to disassociate the real from its representation (1962). For cultural critics still reeling from the aftereffects of Fascism and totalitarianism, this was a dangerous proposition indeed. Although these underlying anxieties of mid-century American society could be examined via a wide range of anthropological lenses and frameworks, visual media has historically provided a particularly vivid manifestation of the fears latent in the people of the United States (Haskell, 2004). This is, of course, not to imply that visual media is necessarily the best or only means by which we can understand prevailing ideologies in the years after World War II, but merely one of the most visible. However, as a critical examination of the entire media landscape of the 1950s would be beyond the scope of a single paper of this magnitude, discussion shall be primarily concentrated around Elia Kazan’s 1957 movie A Face in the Crowd with particular attention paid to the contrasting channels of cinema and television. This paper will seek to briefly position A Face in the Crowd in the larger context of paranoia-driven cinema of the 1950s before using the film as an entryway to discuss critiques of mass culture. Given the film’s apparent sustained resonance as indicated by its relatively recent mention (Vallis, 2008; Hoberman, 2008b; Franklin, 2009), the arguments of Critical Theory will then be applied to modern American culture in an attempt to ascertain their continued validity. Finally, an argument will be made that acknowledges the potential dangers facing mass culture in the 21st century but also attempts to understand the processes that underlie these pitfalls and provides a suggestion for recourse in the form of cultural and media literacy. The post-war prosperity of the 1950s caused rapid changes in America, literally altering the landscape as families began to flood into the newly-formed suburbs. With the dream and promise of upward social mobility firmly ensconced in their heads, families rushed to claim their piece of the American dream, replete with the now-iconic front yard and white picket fence. And yet, ironically, a new set of worries began to fester underneath the idyllic façade of the suburbs as the troubles of the city were merely traded for fears of paranoia and invasion; the very act of flight led to entrapment by an ethos that subtly precluded the possibility of escape. As with many other major cultural shifts, the rapid change in the years following World War II caused Americans to muse over the direction in which they were now headed; despite a strong current of optimism that bolstered dreams of a not-far-off utopia, there remained a stubborn fear that the quickly shifting nature of society might have had unanticipated and unforeseen effects (Murphy, 2009). Life in the suburbs, it seemed, was too good to be true and inhabitants felt a constant tension as they imagined challenges to their newly rediscovered safety: from threats of invasion to worries about conformity, and from dystopian futures to a current reality that could now be obliterated with nuclear weapons, people of the 1950s continually felt the weight of being a society under siege. An overwhelming sense of doubt, and more specifically, paranoia, characterized the age and latent fears manifested in media as the public began to struggle with the realization that the suburbs did not fully represent the picturesque spaces that they had been conceived to be. In fact, inhabitants were assaulted on a variety of levels as they became disenchanted with authority figures, feared assimilation and mind control (particularly through science and/or technology), began to distrust their neighbors (who could easily turn out to be Communists, spies, or even aliens! ), and felt haunted by their pasts, all of which filled the movie screens of the decade (Jensen, 1971; Murphy, 2009; Wolfe, 2002). Following solidly in this tradition, Kazan’s A Face in the Crowd picks up on some of the latent strains of paranoia in American culture while simultaneously serving as a platform for a set of critiques regarding mass culture. 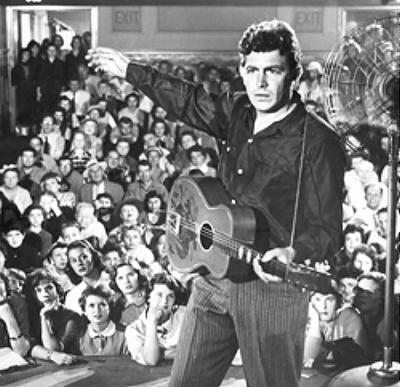 The storyline of A Face in the Crowd is rather straightforward and yet deceptively complex in its undertones: on the surface, we experience a rather heavy-handed morality tale in the form of country bumpkin Larry “Lonesome” Rhodes, a relative nobody who is plucked from obscurity and made (and subsequently broken) through powers associated with television. Yet, it is only when we begin to connect the movie to a larger societal context that we begin to understand the ramifications of the film’s message; a careful examination of A Face in the Crowd reveals striking suspicions regarding the role that media plays (in this case, primarily television and cinema) in shaping American culture. Stars, director Elia Kazan argues, are not so much born as made, a distinction that portends dire consequences. Such is the case it seems, with Larry Rhodes, who is discovered by roving reporter Marcia Jeffries in an Arkansas jail. Although it cannot be denied that Rhodes has some modicum of talent and a certain charisma that comes from being unafraid to speak one’s mind, Marcia ushers Rhodes onto the path of greatness by dubbing him “Lonesome” and thus creates a character that transforms Rhodes from a despondent drunk to a winsome drifter. This scene—the first major one in the movie—thusly introduces the important notion that those involved in the media can be implicitly involved in the manipulation of the information that travels over the airwaves. Subtly adding to the insidious nature of the media, A Face in the Crowd portrays Marcia as a character that seems likable enough, but also a person who is, in a way, exploiting the people in jail as she rushes in with her tape recorder intent on prying the stories from the characters she finds (or creates!) and does not exhibit much concern in truly understanding why these men are imprisoned in the first place. Taken to an extreme, we later come across the character of The General, who further perverts the connection between media and power as he conspires with Lonesome to remake the image of Senator Worthington Fuller as the congressman runs for President. Yet, as Lonesome Rhodes grows in his role as a media personality, he quickly demonstrates that the power to manipulate does not lie solely with those who sit behind the cameras. In Memphis, Rhodes incites a riot against the Luffler mattress company and also solicits donations in order to help a Black woman rebuild her house. In light of this, we can see that while Kazan focuses on the negative implications of television and celebrity, that the relative good or bad that comes from these actions is not necessarily the point—instead, the one constant in all of the depicted scenarios is a public who is manipulated into performing actions on the behalf of others. Although the characters of Lonesome and The General are vilified throughout the film, it is the masses for which Kazan demonstrates true disdain. Perhaps nowhere is this contempt more apparent than at the end of the film where, in an attempt to offer a small moment of solace to Marcia after her unmasking of Lonesome, writer Mel Miller notes, “We get wise to them, that’s our strength” (Kazan, 1957). And Miller is not wrong: Western tradition has long recognized the correlation between knowledge and power and Miller’s assertion touches upon the revelatory clout inherent in the realignment of perception and reality as noted by public relations guru Howard Bragman (2008). A more critical examination of the film’s closing scene, however, raises an important question: Who is Miller’s “we”? Although one might be tempted to read this line as indicative of an egalitarian philosophical view, it is important to note that the only two characters in the shot represent the film’s arguably upper-middle class, and pointedly Eastern-educated, elite—nowhere to be seen are representatives of the small Arkansas town from the film’s opening or denizens of Memphis, both of whom serve to characterize the majority of Lonesome’s devoted viewers. In fact, if we take time to reflect upon the movie, we realize that the majority of the audience was only alerted to Lonesome’s dual nature after Marcia flipped a control room switch and revealed the underlying deterioration; the masses oscillated from one position to the next without understanding how or why and once again adopted a passive stance in their relationship with media. Moreover, as Courtney Maloney points out, Kazan’s depiction of the agency of the masses is actually limited in scope: despite a montage of audience members vehemently phoning in, sponsors are simultaneously shown to be acting independently as they withdraw their association with Lonesome (1999). Moreover, the subtext of the scene distances the rational decision-making of the truly powerful from the impassioned beseeching of the masses, likening the power of the latter to that of a mob. Knowledge and its associated authority, clearly, are afforded to a select group. This idea, that the world can be divided between those who “get wise” and those who do not, serves to develop a rather sharp classist criticism against the medium of television and those who would watch it: moviegoers, by virtue of witnessing Kazan’s work, find themselves elevated in status and privy to “the man behind the curtain” (to borrow a phrase). 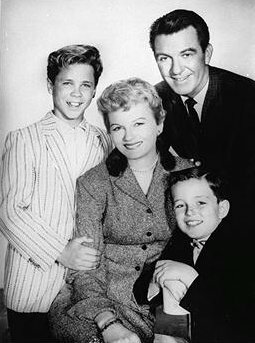 In contrast, the malleable masses were considered to be pacified and placated by idealistic portrayals of life in the 1950s in the form of television programs like Leave It to Beaver, The Donna Reed Show, and The Adventures of Ozzie and Harriet. Clearly, Kazan creates a dichotomy imbued with a value judgment descended from the thoughts of prominent thinkers in the Frankfurt School who, as far as aesthetics were concerned, preferred the high culture of cinema to the conformity and manipulated tastes of television (Horkheimer & Adorno, 2002; Adorno, 1985; Quart, 1989). This distinction between high and low culture would be a crucial supporting idea for critics as a prominent fear of mass culture was that it portended a collapse between concepts (e.g., fame, celebrity, or intellectual value) of objectively different quality, essentially rendering all manifestations the same and therefore all equally mundane (Boorstin, 1962; Hoberman, 2008b; Kierkegaard, 1962). Even worse for critics, perhaps, was the perception of the masses’ refusal to grow out of its immature interests, a behavior that was characterized as both childlike and stubborn (Adorno, 1985). And the fears of such theorists, all of whom were reacting to recent and rapid advances in broadcast technology, were not unfounded. Consider, for example, that radio had been popularized a scant fifty years prior and had vastly altered critics’ understanding of media’s potential impact, creating a precedent as it proliferated across the country and began to develop a platform for solidarity and nationalism. Yet, while the effects of radio were decidedly pro-social, due in part to its propagation of orchestral music and transmission of fireside chats, television was viewed as a corrosive force on society that spurred on the destruction of culture instead of enriching it.For the critics of the Frankfurt School, television was indicative of an entrenched sentiment that regarded mass-produced culture as formulaic and perfectly suitable for a generation of passive consumers who sat enraptured in front of the glowing set. Associating the potential dissemination of propagandist ideology with television as a form of mass broadcast, cultural theorists evoked notions of totalitarian regimes akin to Hitler and Stalin in an effort to illustrate the potential subjugation of individual thought (Mattson, 2003). These simmering fears, aggrandized by their concurrence with the rising threat of Communism and collectivist cultures, found fertile soil in the already present anxiety-ridden ethos of the United States during the 1950s. It should be noted, however, that the comics of this time—those that belong to the end of the Golden Age and beginning of the Silver Age—also provide an additional understanding of the ways in which Americans indirectly wrestled with their fears. For a more exhaustive list of movies that support this point, see Wolfe, 2002. Let us also not forget the fact that Lonesome exhibits a rather patronizing attitude toward his audience in his later career, instituting the Cracker Barrel show with its manufactured country lackeys (Yates, 1974). In contrast to his first stint in Memphis, Lonesome has begun to embrace his country image as a means (if an inauthentic one) to connect with his audience, a point of contention to which we will return. Curiously, however, we see that this relationship between presidential addresses (like the aforementioned fireside chats) and mass media did not elicit notable complaints from critics who were generally wary of the merging of politics and entertainment (Quart, 1989; Benjamin, 1973). Although a larger discussion is warranted regarding the subtleties of this distinction, I would suggest that part of the differentiation stems from a high-low culture dichotomy. Although critics linked the negative presence of television with corporate advertising, James Twitchell suggests that there has always been a rather intimate relationship between arts and commerce, most saliently exhibited by wealthy citizens or entities who act as patrons (Twitchell, 1996). Adorno, T. (1941). On Popular Music. Studies in Philosophy and Social Science, 9, 17-48. Adorno, T. (1985). On the Fetish Character in Music and the Regression of Listening. In A. Arato, & E. Gebhardt (Eds. ), The Essential Frankfurt School Reader (pp. 270-299). New York, NY: Continuum. Benjamin, W. (1973). The Work of Art in the Age of Mechanical Reproduction. In H. Arendt (Ed. ), Illuminations (H. Zohn, Trans., pp. 217-242). London, England: Schocken. Boorstin, D. (1962). The Image: A Guide to Pseudo-Events in America. New York, NY: Athenenum. Bragman, H. (2008). Where’s My Fifteen Minutes? : Get Your Company, Your Cause, or Yourself the Recognition You Deserve. New York, NY: Portfolio. Gamson, J. (1994). Claims to Fame: Celebrity in Contemporary America. Berkeley: University of California Press. Haskell, M. (2004, August 8). Whatever the Public Fears Most, It’s Right Up There on the Big Screen. The New York Times, pp. 4-5. Horkheimer, M., & Adorno, T. W. (2002). Dialectic of Enlightenment: Philosophical Fragments. 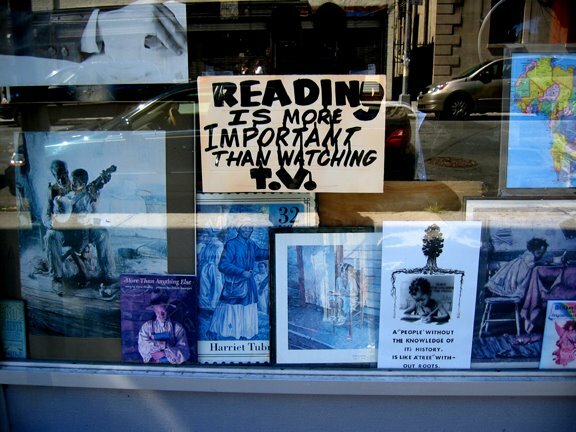 Stanford, CA: Stanford University Press. Jensen, P. (1971). The Return of Dr. Caligari. Film Comment, 7(4), 36-45. Kazan, E. (Director). (1957). 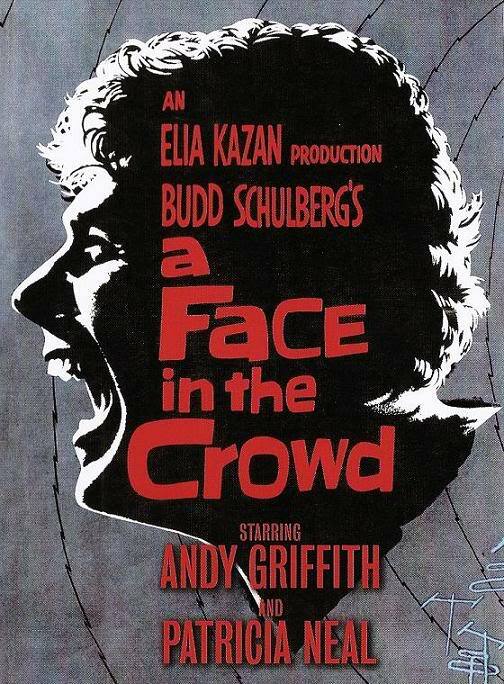 A Face in the Crowd [Motion Picture]. Maloney, C. (1999). The Faces in Lonesome’s Crowd: Imaging the Mass Audience in “A Face in the Crowd”. Journal of Narrative Theory, 29(3), 251-277. Mattson, K. (2003). Mass Culture Revisited: Beyond Tail Fins and Jitterbuggers. Radical Society, 30(1), 87-93. Murphy, B. M. (2009). The Suburban Gothic in American Popular Culture. Basingstoke, Hampshire, England: Palgrave Macmillan. Quart, L. (1989). A Second Look. Cineaste, 17(2), pp. 30-31. Wolfe, G. K. (2002). Dr. Strangelove, Red Alert, and Patterns of Paranoia in the 1950s. Journal of Popular Film, 57-67. And the fears of such theorists, all of whom were reacting to recent and rapid advances in broadcast technology, were not unfounded. Consider, for example, that radio had been popularized a scant fifty years prior and had vastly altered critics’ understanding of media’s potential impact, creating a precedent as it proliferated across the country and began to develop a platform for solidarity and nationalism. Yet, while the effects of radio were decidedly pro-social, due in part to its propagation of orchestral music and transmission of fireside chats, television was viewed as a corrosive force on society that spurred on the destruction of culture instead of enriching it. For the critics of the Frankfurt School, television was indicative of an entrenched sentiment that regarded mass-produced culture as formulaic and perfectly suitable for a generation of passive consumers who sat enraptured in front of the glowing set. 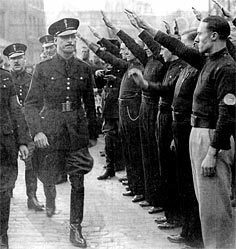 Associating the potential dissemination of propagandist ideology with television as a form of mass broadcast, cultural theorists evoked notions of totalitarian regimes akin to Hitler and Stalin in an effort to illustrate the potential subjugation of individual thought (Mattson, 2003). These simmering fears, aggrandized by their concurrence with the rising threat of Communism and collectivist cultures, found fertile soil in the already present anxiety-ridden ethos of the United States during the 1950s. Notably, however, the fears associated with the masses have not been limited to one particular decade in American history: across cultures and times, we can witness examples akin to tulip mania where unruly mobs exhibited relatively irrational behavior. Given the reoccurring nature of this phenomenon, which receives additional credence from psychological studies exploring groupthink and conformity (Janis, 1972; Asch, 1956), we might choose to examine how, if at all, the cultural critiques of the 1950s apply to contemporary society. Recast, the criticisms of mass culture presumably resonate today in a context where popular culture holds sway over a generally uncritical public; we might convincingly argue that media saturation has served to develop a modern society in which celebrities run wild while evidencing sexual exploits like badges of honor, traditional communities have collapsed, and the proverbial apocalypse appears closer than ever. Moreover, having lost sight of our moral center while further solidifying our position as a culture of consumption since the 1950s, the masses have repeatedly demonstrated their willingness to flash a credit card in response to advertising campaigns and to purchase unnecessary goods hawked by celebrity spokespeople in a process that demonstrates a marked fixation on appearance and the image in a process reminiscent of critiques drawn from A Face in the Crowd (Hoberman, 2008a; Ecksel, 2008). Primarily concerned with the melding of politics, news, and entertainment, which harkens back to Kierkegaard-inspiried critiques of mass culture, current critics charge that the public has at long last become what we most feared: a mindless audience with sworn allegiances born out of fielty to the all-mighty image (Hoberman, 2008a). Arguably the most striking (or memorable) recent expression of image, and subsequent comingling bewteen politics and entertainment, centered around Sarah Palin’s campaign for office in 2008. Indeed, much of the disucssion regarding Palin centered around her image and colloquisims rather than focusing solely on her abilities. Throughout her run, Palin positioned herself as an everyman figure, summoning figures such as “Joe Six-Pack” and employing terms such as “hockey mom” in order to covey her relatability to her constituents. In a piece on then-Vice-Presidential candidate Sarah Palin, columnist Jon Meacham questions this practice by writing: “Do we want leaders who are everyday folks, or do we want leaders who understand everyday folks?” (2008). Palin, it seemed to Meacham, represented much more of the former than the latter; this position then leads to the important suggestion that Palin was placed on the political bill in order to connect with voters (2008). Suddenly, a correlary between Palin and Lonesome Rhodes from A Face in the Crowd becomes almost self-evident. At our most cynical, we could argue that Palin is a Lonesome-type figure, cleverly manipulating her image in order to connect with the disenfranchised and disenchanted. More realistically, however, we might consider how Palin could understand her strength in terms of her relatability instead of her political acumen; she swims against the current as a candidate of the people (in perhaps the truest sense of the term) and provides hope that she will represent the voice of the common man, in the process challenging the status quo in a government that has seemingly lost touch with its base. In some ways, this argument continues to hold valence in post-election actions that demonstrate increasing support of the Tea Party movement. However, regardless of our personal political stances, the larger pertinent issue raised by A Face in the Crowd is the continued existence of an audience whose decision-making process remains heavily influenced by image—we actually need to exert effort in order to extract our opinion of Sarah Palin the politician from the overall persona of Sarah Palin. Although admittedly powerful, author Mark Rowlands argues that a focus on image—and the reliance on the underlying ethereal quality described by Daniel Boorstin as being “well known for [one’s] well-knownness” (Boorstin, 1962, p. 221)—is ultimately damning as the public’s inability to distinguish between items of quality leads them to focus on the wrong questions (and, perhaps worse, to not even realize that we are asking the wrong questions) in ways that have very real consequences. Extrapolating from Rowlands, we might argue that, as a culture that is obsessed with image and reputation, we have, in some ways, forgotten how to judge the things that really matter because we have lost a sense of what our standards should be. So while the criticisms of critics from the Frankfurt School might appear to hold true today, we also need to realize that modern audiences exist in a world that is, in some ways, starkly different from that of the 1950s. To be sure, the mainstream media continues to exist in a slightly expanded form but new commentary on the state of American culture must account for the myriad ways in which current audiences interact with the world around them. For instance, work published after Theodor Adorno’s time has argued against the passive nature of audiences, recognizing the agency of individual actors (Mattson, 2003; Shudson, 1984). Moreover, the new activity on the part of audiences has done much to comingle the once distinctly separate areas of high and low culture in a process that would have likely confounded members of the Frankfurt School. The current cultural landscape encompasses remix efforts such as Auto-Tune the News along with displays of street art in museum galleries; projects once firmly rooted in folk or pop art have transcended definitional boundaries to become more accepted—and even valued—in the lives of all citizens. While Adorno might be tempted to cite this as evidence of high culture’s debasement, we might instead argue that these new manifestations have challenged the long-held elitism surrounding the relative worth of particular forms of art. Additionally, examples like Auto-Tune the News suggest that advances in technology have also had a large impact on the cultural landscape of America over the past half century, with exponential growth occurring after the widespread deployment of the Internet and the resulting World Wide Web. While the Internet certainly provided increased access to information, it also created the scaffolding for social media products that allowed new modes of participation for users. Viewed in the context of image, technology has helped to construct a world in which reputations are made and broken in an instant and we have more information circulating in the system than ever before; the appearance of technology, then, has not only increased the velocity of the system but has also amplified it. Although the media often showcases deleterious qualities of the masses’ relationship with these processes (the suicide of a student at Rutgers University being a recent and poignant example), we are not often exposed to the incredible pro-social benefits of a platform like Twitter or Facebook. While we might be tempted to associate such pursuits with online predators (a valid concern, to be sure) or, at best, unproductive in regard to civic engagement (Gladwell, 2010), to do so would to ignore the powerfully positive uses of this technology (Burnett, 2010; Lehrer, 2010; Johnston, 2010). Indeed, we need only look at a newer generation of activist groups who have built upon Howard Rheingold’s concept of “smart mobs” in order to leverage online technologies to their benefit (2002)—a recent example can be found in the efforts of groups like The Harry Potter Alliance, Invisible Children, and the Kristin Brooks Hope Center to win money in the Chase Community Giving competition (Business Wire, 2010). Clearly, if the masses can self-organize and contribute to society, the critiques of mass culture as nothing more than passive receptors of media messages need to be revised. If we accept the argument that audiences can play an active part in their relationship with media, we then need to look for a framework that begin to address media’s role in individuals’ lives and to examine the motivations and intentions that underlie media consumption. Although we might still find that media is a corrosive force in society, we must also realize that, while potentially exploiting an existing flaw, it does not necessarily create the initial problem (MacGregor, 2000). A fundamental building block in the understanding of media’s potential impact is the increased propensity for individuals (particularly youth) to focus on external indicators of self-worth, with the current cultural climate of consumerism causing individuals to focus on their inadequacies as they begin to concentrate on what they do not have (e.g., physical features, talent, clothes, etc.) as opposed to their strengths. Simultaneously both an exacerbation of this problem and an entity proffering solutions, constructs like advertising provide an easy way for youth to compensate for their feelings of anxiety by instilling brands as a substitute for value: the right label can confer a superficial layer of prestige and esteem upon individuals, which can act as a temporary shield against criticism and self-doubt. In essence, one might argue that if people aren’t good at anything, they can still be associated with the right brands and be okay. Although we might be tempted to blame advertising for this situation, it actually merely serves to exploit our general unease about our relationship to the world, a process also reminiscent of narcissism (Lasch, 1979). Historian Christopher Lasch goes on to argue that, once anchored by institutions such as religion, we have become generally disconnected from our traditional anchors and thus have come to substitute media messages and morality tales for actual ethical and spiritual education (1979). The overlapping role of religion and advertising is noted by James Twitchell, who contends that, “Like religion, which has little to do with the actual delivery of salvation in the next world but everything to do with the ordering of life in this one, commercial speech has little to do with material objects per se but everything to do with how we perceive them” (1996, 110). Thus, we might classify religion, advertising, entertainment, and celebrity as examples of belief systems (i.e., a certain way of seeing the world complete with their own set of values) and use these paradigms to begin to understand their respective (and ultimately somewhat similar!) effects on the masses. Ideologies such as those found in popular culture, religion, or advertising tell believers, in their own ways, what is (and is not) important in society, something that Twitchell refers to as “magic” (1996, 29). Each manifestation also professes a particular point of view and attempts to integrate itself into everyday life, drawing on our desire to become part of something (e.g., an idea, a concept, or a movement) that is larger than ourselves. Perhaps, most importantly, the forces of advertising, entertainment, religion, and art (as associated with high/pop/folk culture) play on this desire in order to allow humans to give their lives meaning and worth, in terms of the external: God, works of art, and name brands all serve as tools of classification. While cynics might note that this stance bears some similarities to the carnival sideshows of P. T. Barnum—it does not matter what is behind the curtain as long as there is a line out front (Gamson, 1994; Lasch, 1979)—the terms survive because they continue to speak to a deep desire for structure; the myth of advertising works for the same reasons that we believe in high art, higher education, and higher powers. Twitchell supports this idea by mentioning that “the real force of [the culture of advertising] is felt where we least expect it: in our nervous system, in our shared myths, in our concepts of self, and in our marking of time” (1996, 124). Constructs like advertising or entertainment, it seems, not only allow us to assemble a framework through which we understand our world, but also continually informs us about who we are (or who we should be) as a collection of narratives that serves to influence the greater perceptions of individuals in a manner reminiscent of the role of television in Cultivation Theory (Gerbner & Gross, 1976). The process of ordering and imbuing value ultimately demonstrates how overarching ideologies can not only create culture but also act to shape it, a process evidenced by the ability of the aforementioned concepts to consume and/or reference previously shared cultural knowledge while simultaneously contributing to the cultural milieu. Given our reconsideration of mid-century cultural critiques, it follows that we should necessarily reevaluate proposed solutions to the adverse issues present within mass culture. We recall the advice of A Face in the Crowd’s Mel Miller (i.e., “We get wise to them”) and reject its elitist overtones while remaining mindful of its core belief. We recognize that priding ourselves on being smart enough to see through the illusions present in mass culture, while pitying those who have yet to understand how they are being herded like so many sheep, makes us guilty of the narcissism we once ascribed to the masses—and perhaps even more dangerous than the uneducated because we are convinced that we know better. We see that aspects of mass culture address deeply embedded desires and that our best hope for improving culture is to satisfy these needs while educating audiences so that they can better understand how and why media affects them. Our job as critics is to encourage critical thinking on the part of audiences, dissecting media and presenting it to individuals so that they can make informed choices about their consumption patterns; our challenge is to convincingly demonstrate that engagement with media is a crucial and fundamental part of the process. If we ascribe to these principles, we can preserve the masses’ autonomy and not merely replace one dominant ideology with another. Palin has continued the trend, currently employing the term “mama grizzlies,” a call-to-arms that hopes to rally the willingness of women to fight in order to protect things that they believe in. Interestingly, a term that reaffirms the traditional role of women as nurturing matriarchs has been linked to feminist movements, a move that seems to confuse the empowerment of women with a socially conservative construct of their role in American life (Dannenfelser, 2010). We can also see much work conducted in the realm of fan studies that supports the practice of subversive readings or “textual poaching,” a term coined by Henry Jenkins (1992), in order to discuss contemporary methods of meaning making and resistance by fans.